Usually when John Q. Public wants to buy an RV, he starts Googling. Chances are inevitably he’ll land on RVT.com. And, as soon as he (or she) hits our site, the rich information starts flowing. 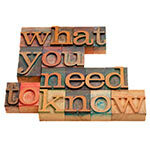 Some info we receive about buyers comes in automatically. Some we ask for. 1. Where They Live – Geographically. We make the buyer’s RV shopping experience better by showing him RVs that match what he’s looking for – but – sorted by the units that are geographically closest to him at the top of the list. This is a great advantage for dealers in their local markets, as well. 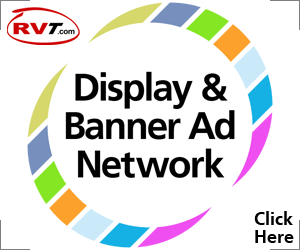 Equally as important … if there’s a buyer on RVT, and you know that buyer’s in your target region, why not show him a compelling display ad about your dealership? Could be exciting if you hit ’em with Regional Dealer Display Ads. Just a thought. Buyers generally know what they want. Dealers’ Sales Reps are the first to tell us that! 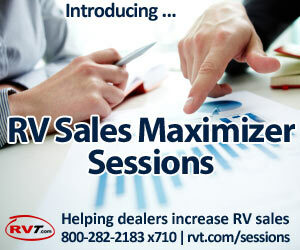 And, because buyers get specific in their RV searches, it helps dealers in a couple of ways. First, you can target them with tremendous precision. In a Maximizer Session, one dealer mentioned that he was trying to become renown as “THE place for Class A’s” in his State. But, his dealership was a bit of a drive outside the nearest larger town. So, to accomplish his goal, he chose to target his State AND all Class A searchers only. Smart. The 2nd way dealers benefit is in cost savings. If you DO NOT sell Class A’s, you don’t have to pay for Display Ads to people who are shopping for Class A’s. Again, smart. Thrifty. Matching the buyer’s online actions with targeted messages. 3. Which RVs They’re “Watching”? 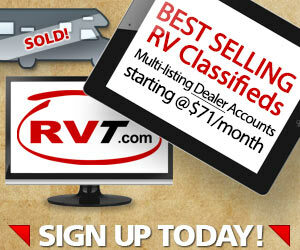 Buyers can now “Watch” RVs on RVT. And they like it! In total, consumers are watching thousands of RVs … right now. To see your dealership’s watch stats, just log into your RVT account. Your watches are reported on your Dashboard. Whenever you lower the price on a vehicle, RVT will send any ‘watching’ buyer a quick email alert telling them the price has gone down. Good to know! 4. Special Requests for Specific RVs. We get a lot of requests everyday from RV consumers to see if we can help them find a specific unit they’re interested in. So, we built a list. A huge list of buyers all looking for a specific unit. Now, every day, we run your units against our list of units that these 60,000 buyers are looking for. Thousands and thousands of emails are going out to buyers every week. Perfect for buyers! Perfect for sellers! So, we know where buyers are geographically and what Brands and Classes they’re trying to buy. Think targeting. Think banner ads. And yes, you’ve got buyers watching you! Plus, we’re running your inventory daily against our list of buyers asking for specific RVs.